Personal care products are an integral part of our everyday lives. More and more companies are creating products infused with CBD, such as CBD soap, shampoo and conditioner, moisturizers, and more. CBD soap is an incredible innovation in topical CBD products. Soaps made with CBD are full of skin soothing ingredients as well as CBD, of course, which has been shown to be a powerful way to promote healthy skin. There is an advantage that CBD soap has over commonly used soaps as well because they don’t have the same chemicals that can strip moisture, irritate skin, and lead to fine lines and wrinkles. Choosing to use a CBD soap over any other soap or body wash is a very simple way to start incorporating this incredible cannabinoid into your daily routine. There are no side effects to its use, it contains no THC, and it can aid in the treatment of skin conditions like acne, eczema, rosacea, and more. CBD is rich in antioxidants, fights off inflammation, and it is a key component to restoring balance in our bodies. This also goes for our skin! CBD helps restore the acid mantle. The acid mantle is a slightly acidic film on the surface of our skin that serves as a barrier that keeps bacteria, viruses, and any other potential contaminants from penetrating the skin. Taking care of your skin is important, and part of taking care of it is keeping it clean. But, our skin also needs a lot more than just that such as vitamins, antioxidants, moisture, and protection. CBD soap is an amazing alternative to regular soap because it can cover so many of those bases. Here are just some of the benefits that CBD soap provides. Antioxidants found in CBD help fight free radicals, which can lead to dark spots, wrinkles, and premature aging of the skin. There are essential fatty acids in CBD, like linoleic acid, which protect your skin from the oxidative damage that free radicals cause. These fatty acids are also known to possess restorative and regenerative properties that help heal damaged skin and can even reverse signs of aging. CBD soap will help get rid of dead cells and increase the proliferation of new cells in damaged areas of the skin. 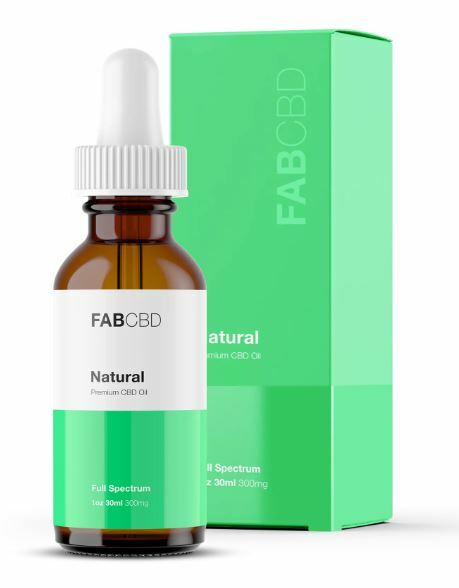 The anti-inflammatory effects of CBD help combat redness, irritation, and inflammation beneath the skin’s surface. This helps your skin look clear and feel good. Using CBD soap can help heal sunburns and ease the pain because it is also a powerful analgesic. CBD is very soothing to the skin; it works through your endocannabinoid system to inhibit inflammatory responses and pain. Because skin conditions like eczema and psoriasis are caused by aberrant immune responses, CBD can reduce symptoms of these conditions and aid in their treatment. A lot of people also struggle with acne. Because of all of the incredible properties we’ve already listed, CBD soap can be very effective in the treatment of acne by reducing inflammation, promoting cell regeneration, balancing moisture, and helping our skin properly ward off acne-causing bacteria. 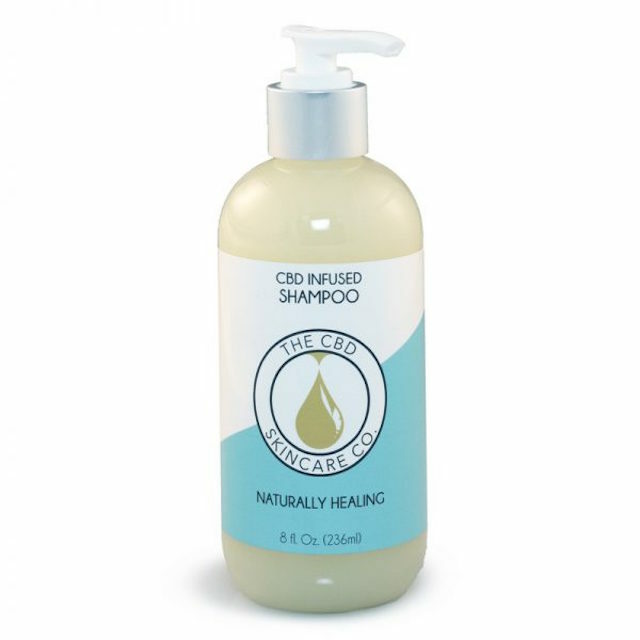 CBD hair care products are another awesome new addition to the vast sea of CBD products you can choose from. They’re also great for your hair and scalp! CBD contains all 20 known amino acids and is very rich in vitamins. A, B, C, D, E, magnesium, potassium, and essential fatty acids like omegas 3, 6, and nine can all be found in cannabidiol. This is important to note because these nutrients help your hair retain moisture, encourage collagen to form, and more. Using CBD shampoo and conditioner will improve the elasticity and strength of your hair as well as nourish scalp tissue. Similar to CBD soap, it is free from many of the chemicals that traditional hair care products are full of. 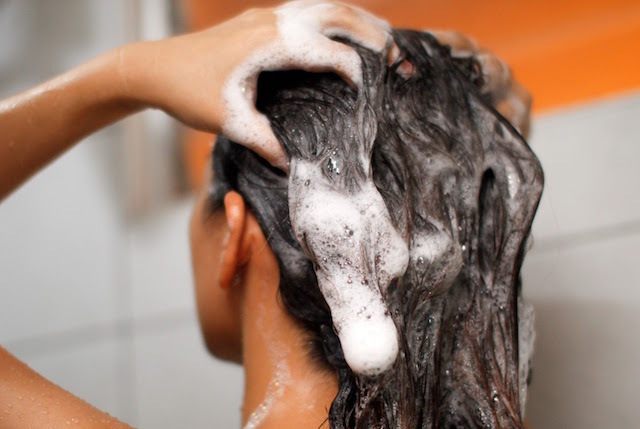 A lot of shampoos contain drying alcohol, unnecessary fragrance additives, preservatives, and more. There are few things in the world more luxurious than bath bombs. They’re relaxing, they smell great, and they’re usually full of ingredients that help relax the muscles and nourish the largest organ on your body, your skin. CBD bath bombs are made with natural ingredients and can soothe aches and pains while taking care of your skin as well. Where to Buy CBD Soap, CBD Shampoo and Conditioner, CBD Bath Bombs, and more! We have a ranking of the Best CBD Oil for Healthy Skin that features some of the best products that we have found. This includes soap, skin serums, masks, and of course, bath bombs. However, here are some of our favorite products. The CBD Skincare Company makes CBD infused shampoo and conditioner. This duo contains full spectrum CBD oil; Hexapeptide-11 which boosts collagen and moisture; and fruit extracts like sugar cane, lemon, and apple which are gentle exfoliants that clear away dirt, product, and dead cells to keep your hair clean and allow room for thicker hair growth. Cannuka makes a luxurious CBD Soap. This soap contains pure CBD isolate as well as coconut oil, olive oil, tea tree, and black pepper essential oils, cocoa butter and shea butter, as well as manuka honey. 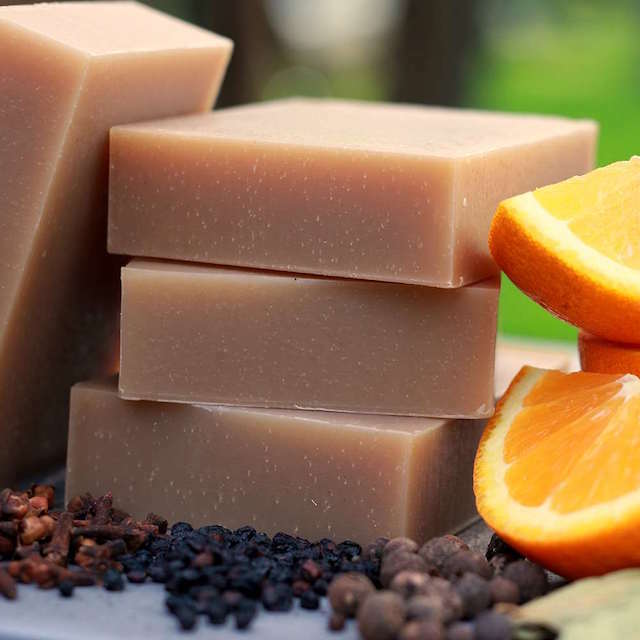 This soap is antibacterial and antimicrobial, packed with antioxidants, moisturizing ingredients, and will leave your skin looking and feeling younger, cleaner, and perfectly refreshed. 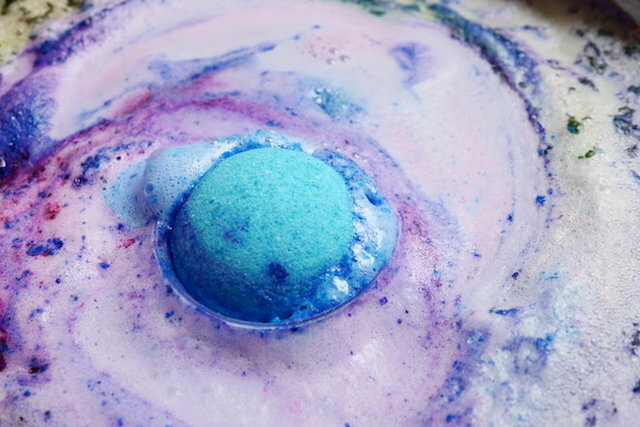 Life Elements makes a variety of amazing CBD bath bombs that are cruelty free and do not contain any harsh chemicals, preservatives, aluminum, colorants, foaming agents or synthetic fragrance. They’re designed to soothe your mind, your body, and your skin. 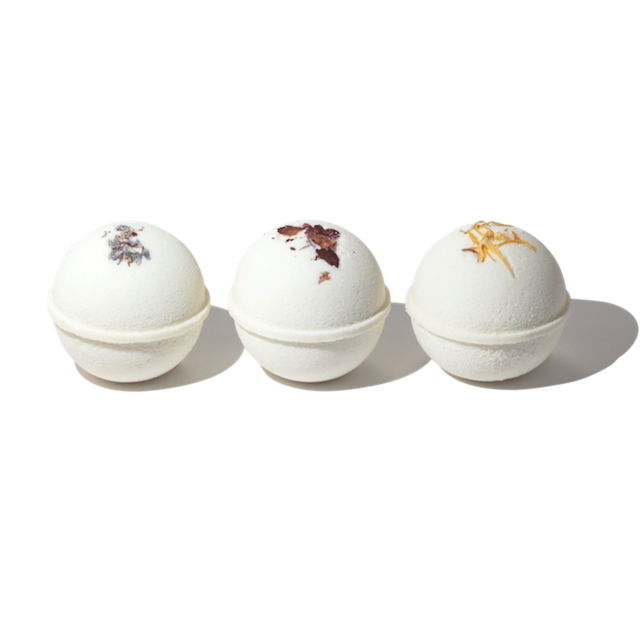 In these CBD bath bombs, there are ingredients such as goat milk, oatmeal, honey, olive oil, arnica, witch hazel, and more. They come in strengths of 50 mg, 100 mg, or 200 mg depending on your preference.